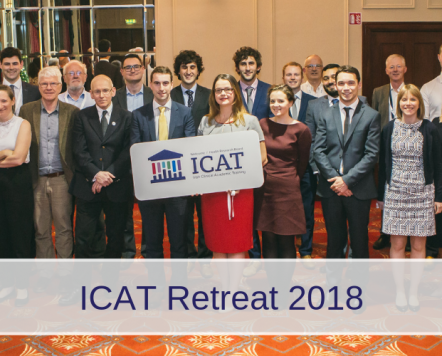 We were delighted to receive a high number of quality applications for Wellcome-HRB ICAT fellowships starting in 2019. The applications are currently undergoing rigorous peer review and applicants shortlisted for interview will be notified shortly. 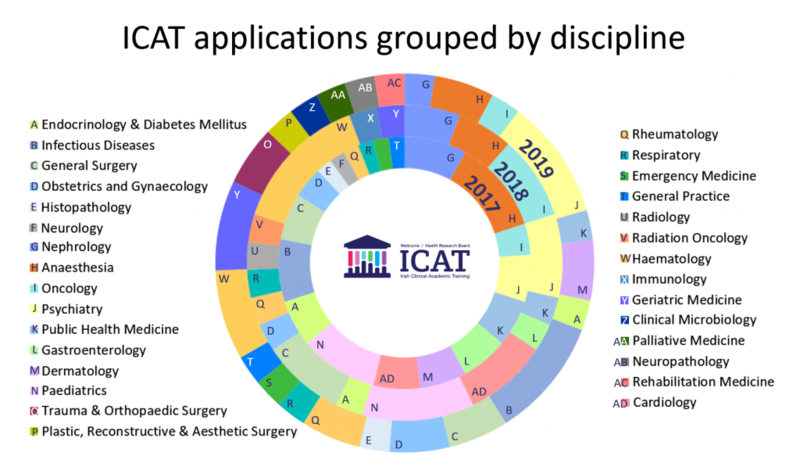 It is encouraging to see an expansion in the clinical specialties represented by applicants over the past three years (illustrated in chart below); ICAT is open to trainees in any clinical specialty and can offer flexibility for Fellows with differing clinical training requirements. 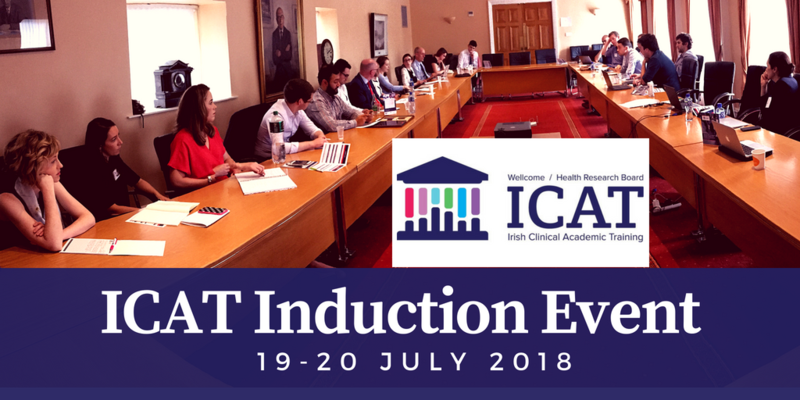 ICAT appoints Fellows annually to embark upon an exciting programme that incorporates a research PhD, regular peer events, development of core academic, research and clinical skills, and continuing mentorship as they pursue careers in academic medicine. 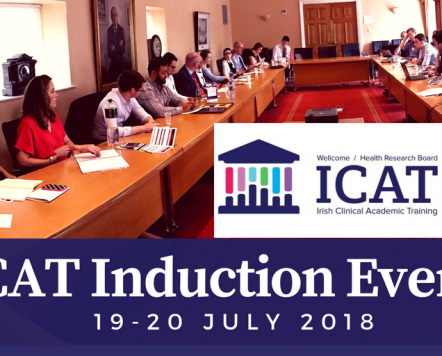 Further information about the application process and eligibility criteria can be found here.